Webfuel's Campaign Manager software is a great tool for managing large email distribution lists and sending marketing email campaigns to hundreds or thousands of recepients. We have recently released a range of free, customisable newsletter templates that are easy to use and configure. You can access these templates from within the software, set your own logo, branding and content. All the templates are tested on a wide range of mobile devices to make sure that all your recipients get the best possible view of your content. You can see a few examples below. We have around 50 templates available at the moment, with more being added all the time. Once you have configured a template you can reuse your changes in future campaigns. 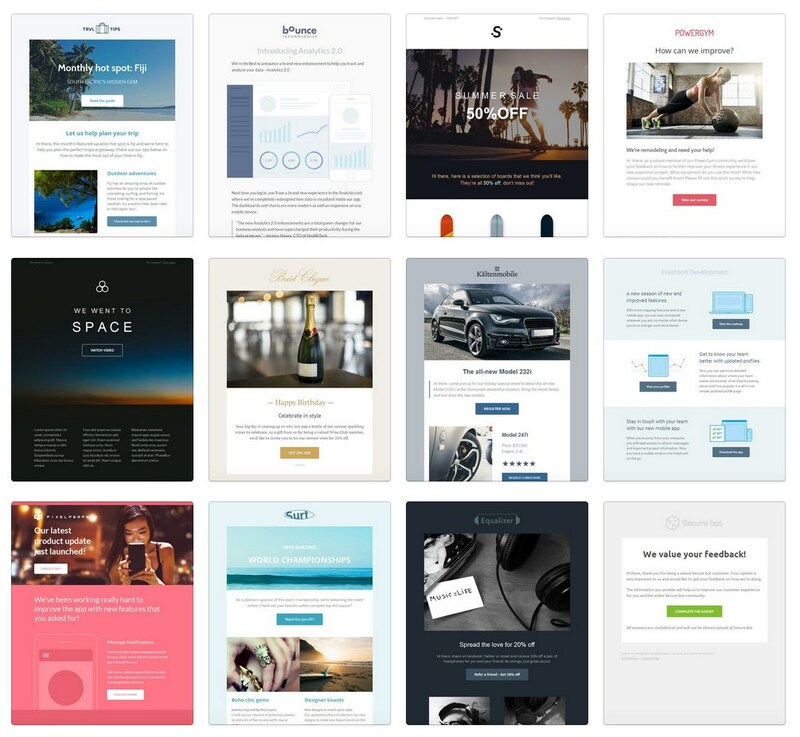 Having access to a wide range of templates means you can mix up the look and feel of your marketing instead of sending out a similar looking template for every communication. This can help improve your campaign click through and conversion rates. Using these templates still gives you access to all the other great Campaign Manager features such as open and click tracking, automatic list management, unsubscribe management, geographic analysis, website signup forms, A/B testing and more. Sending email is easy, but getting the most from your email campaigns can only be achieved if you choose the right tool for the job. If you'd like to talk to us about how Campaign Manager can help you get the most from email marketing please give us a call 01509 852 188 .